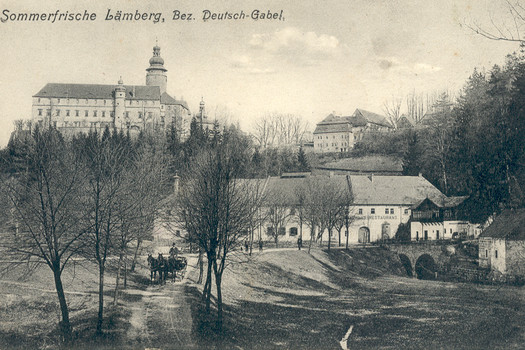 The predecessor of today's Baroque castle was the medieval castle of Lemberk, founded in the 1340s by Havel of Markvartic, husband of St. Zdislava. In the second half of the 16th century it was rebuilt into a Renaissance chateau and it acquired its present appearance after the mid-17th century under the the lords of Breda. The last owners were the Clam-Gallas family, until 1945.